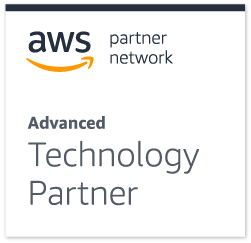 We’re delighted to be a sponsor at the AWS Summit in New York! You’ll be able to find the Matillion team at our booth in the Expo Hall for live demos, best practice advice, awesome giveaways and lots more! The AWS Summit in New York is a free two-day event taking place at the Javits Center in New York on Monday 16th July and Tuesday 17th July. The AWS Summit series brings together professionals from across the cloud computing community, to inform and educate on the latest and greatest of all things AWS. With a busy agenda of keynote speeches, breakout sessions, workshops, technical bootcamps and networking opportunities, there’s something for everyone! You’ll be able to find the Matillion team at Booth #329 in the Expo Hall where we’ll be showcasing Matillion ETL for Amazon Redshift and recently launched, Matillion ETL for Snowflake. Not going to AWS Summit New York, but want to learn about Matillion ETL? Schedule a demo today or start a free 3-day Test Drive.